The Weishan Yi and Hui Autonomous County (wēi shān yí zú huí zú zì zhì xiàn 巍山彝族回族自治县) is located in the south of the Dali Bai Autonomous Prefecture (dà lǐ bái zú zì zhì zhōu 大理白族自治州) in the west of Yunnan Province (yún nán shěng 云南省). 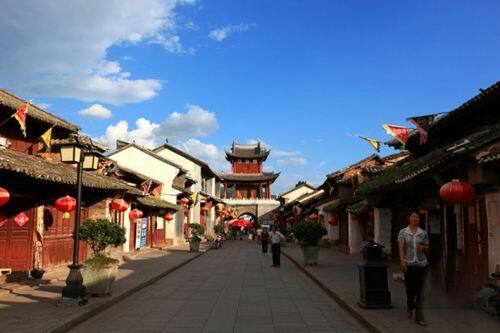 Lying in the upper section of Ailao Mountain (āi láo shān 哀牢山) and Wuliang Mountain (wú liàng shān 无量山), Weishan is more than 54 kilometers from Kunming (kūn míng 昆明), the provincial capital of Yunnan, and 54 kilometers from Dali City, the seat of the prefectural government. It has under its jurisdiction nine villages, two towns and 82 village offices. 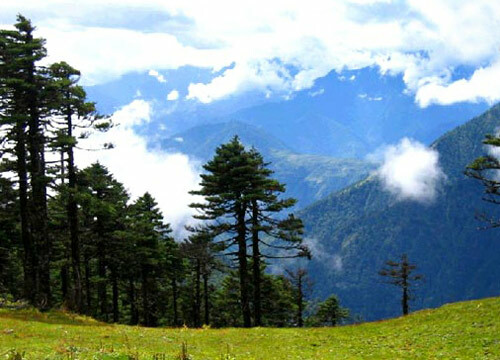 The Gaoligong Mountains, (gāo lí gòng shān 高黎贡山), are a mountainous sub-range of the southern Hengduan Mountain (héng duàn shān mài 横断山脉) Range. 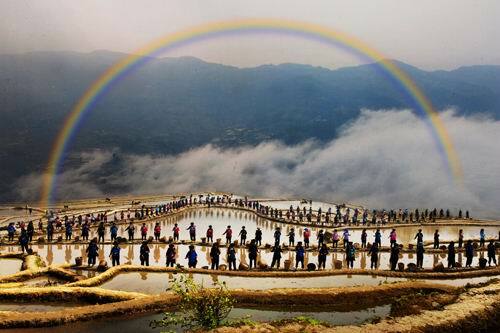 It is characterized by its natural landscape of biological and climate vertical belts, various types of vegetation, and a great variety of plants and animals. 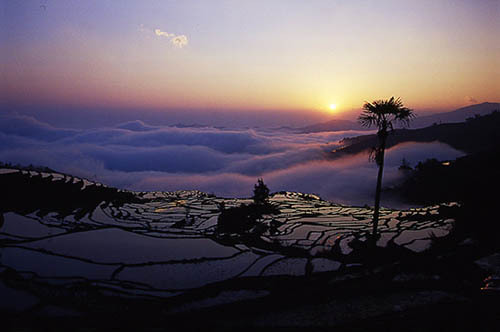 In 1983, the Gaoligong Mountain National Nature Reserve was established, and in 1992, the World Wildlife Fund, designated it a level A grade protected area. In 2000, UNESCO accepted it as a Biosphere Reserve member. 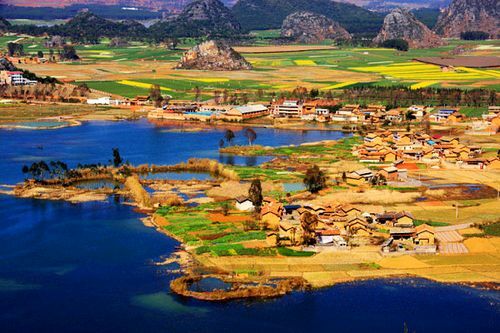 The reserve is part of the Three Parallel Rivers of Yunnan Protected Areas (yún nán sān jiāng bìng liú bǎo hù qū 云南三江并流保护区), established in 2003, and as such a UNESCO World Heritage Site.